Download over wifi, tour offline. No data, cellular or wifi required.g. RT100, also known as Vermont’s Main Street, is the most traveled stretch of road in the state. 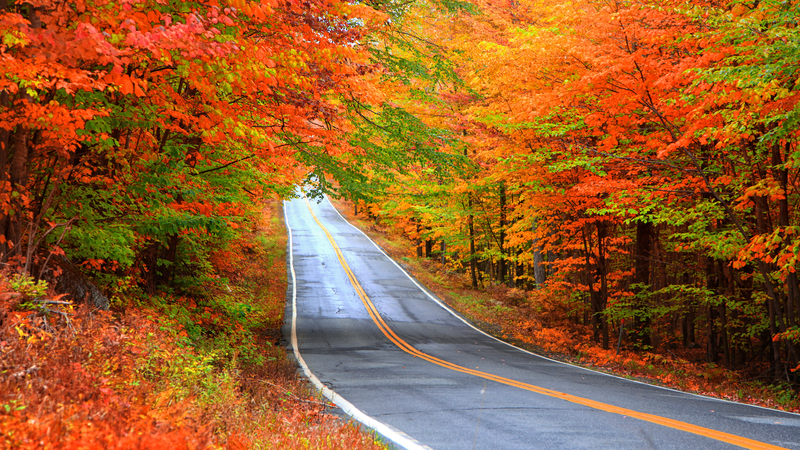 The beautiful foliage colors of the fall are a favorite time to enjoy this drive, but any time once the snow has stopped falling is a great time to visit. 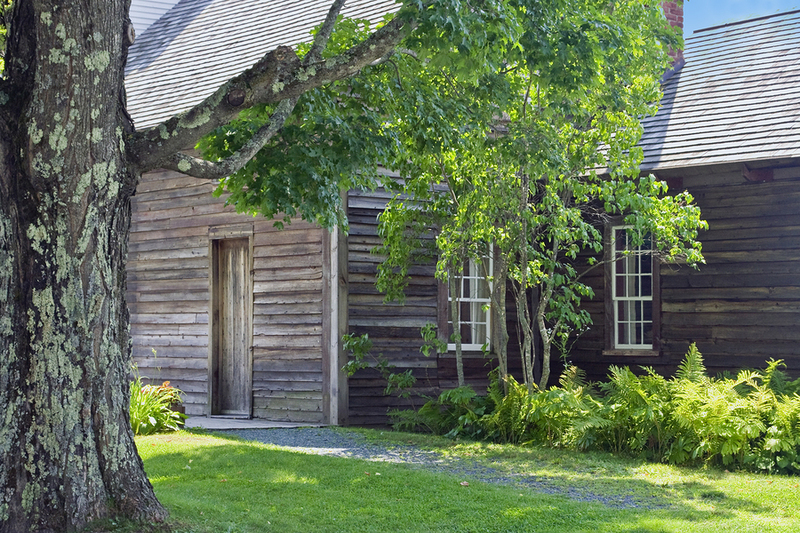 Along this route we pass through some very classic New England towns and villages, many having picturesque churches and cute country stores. 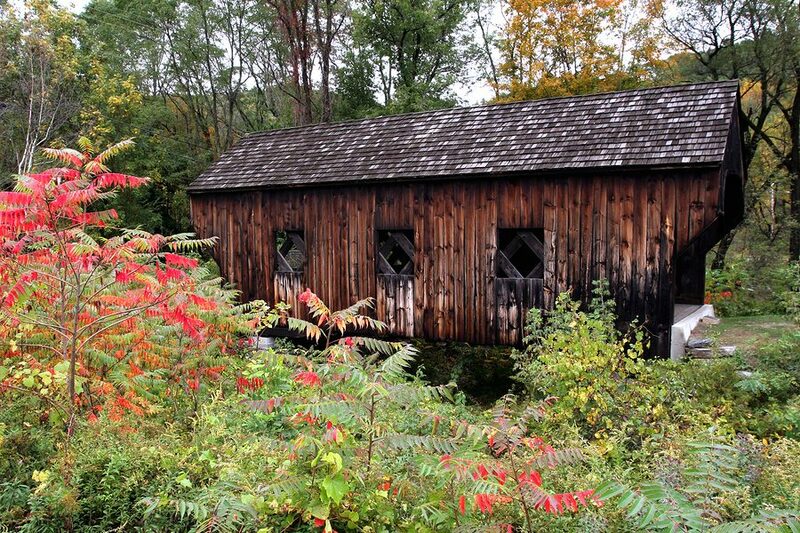 There are also opportunities to see classic covered bridges and scenic waterfalls. 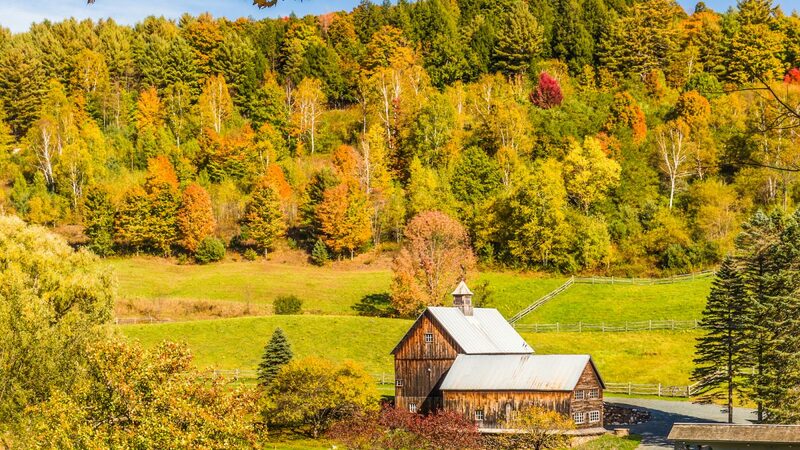 Foodies will love this tour with many opportunities to sample Vermont produce and delicacies including cheeses, ciders and maple syrup. A highlight stop is of course the home of Ben & Jerry’s for ice cream. Learn how Smugglers Notch got it’s name and visit the Von Trapp Family Lodge, (yes from the Sound of Music), the home of President Calvin Coolidge and several of Vermont’s alpine resorts. The tour of one of the most scenic drives in New England can be started in either Wilmington or Jeffersonville and travelled in either direction. Vermont's Main Street. 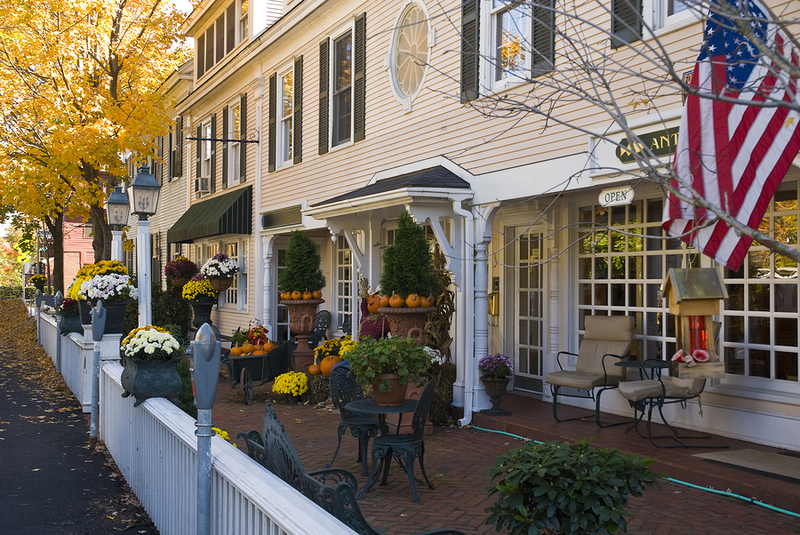 A road trip for those that like food sampling, shops with arts & crafts and the prettiest New England towns, villages and covered bridges. And when it's fall you'll be blinded by the autumn colors. You can join anywhere along the RT 100 Route. Start in the north at Jeffersonville and Smugglers Notch. In the south, commentary begins from Wilmington. Other places where it is easy to connect with RT 100 include Killington, Stowe and Waterbury. 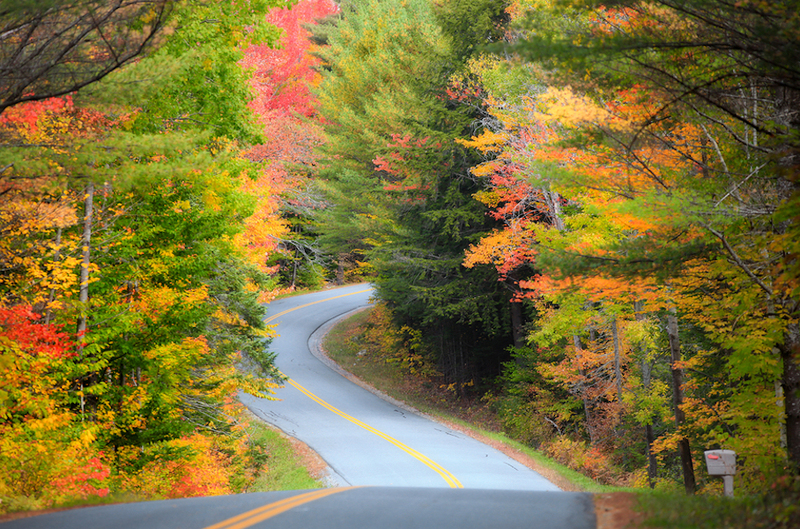 When are the Fall colors in Vermont? Vermont is beautiful to visit at any time and the full length of the route is open once the winter snows have finished. 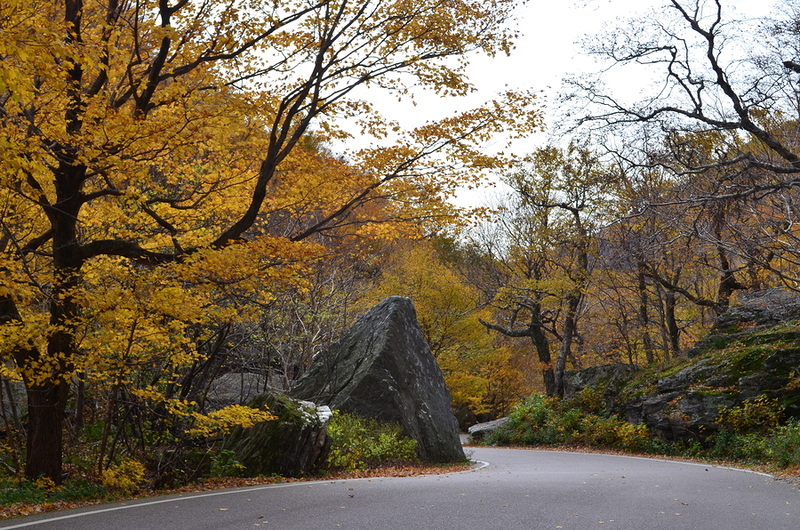 But there is doubt that visiting during the Fall color season is even more magical. The actual season can change from year to year depending on the weather and soil conditions, but typically mid September until the end of October is reliable. There are websites that try to help know where and when the colors will change. Can I do this tour in one day? We recommend having a minimum of 2 days to enjoy the entire tour. There is a higher concentration of things to enjoy on the northern 1/3 of the route, so try to match your time accordingly. If you do not begin at the very start of the route, you may be able to complete a good portion of the route in a single day! 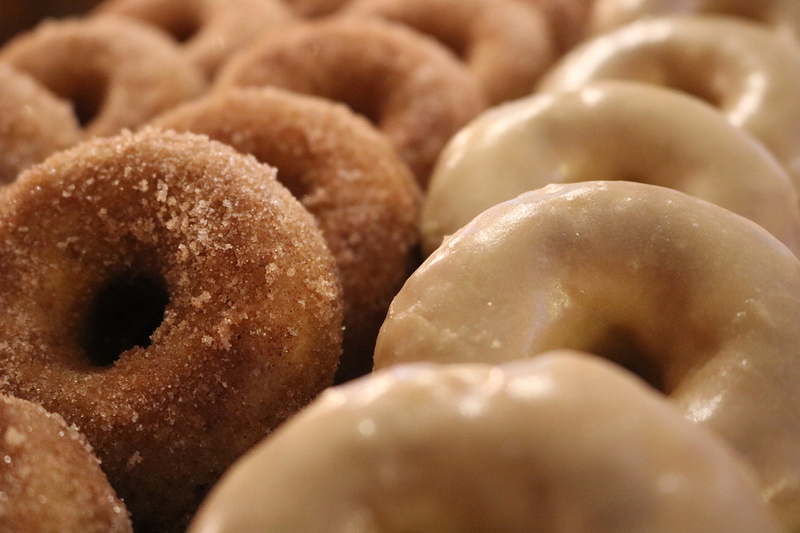 Be sure to bring your appetite for the many opportunity to sample Vermont’s tasty treats. Don’t forget your smile, camera and appetite for sampling!